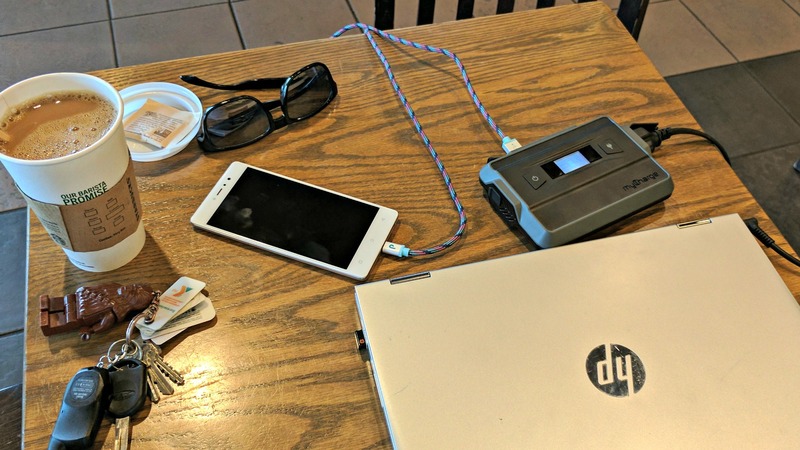 The AdventureUltra let you charge up to four devices at once, including laptops. After reviewing countless portable power banks and charging solutions over the years, there are a few features I’ve come to appreciate. If anything, there are certain details I look for first when making a purchasing decision or recommendation. 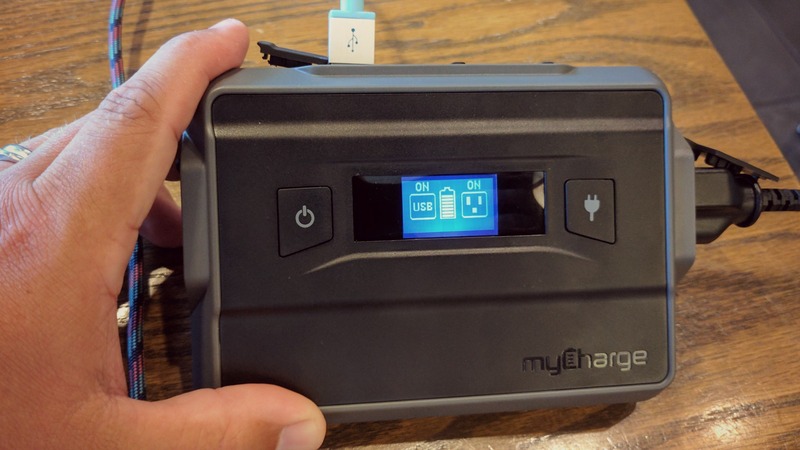 I’ve spent time with a number of products from the myCharge brands over the last couple of years, each of which fills a particular void. Sometimes we need something super portable or minimal as a backup just in case we run low on a long work day. Other times we need a beast of a unit because we fully expect to deplete our batteries over an extended weekend away. Such is the case with the latest myCharge product, the AdventureUltra. Taking up about as much space as a portable cassette player from the 1980’s, the Ultra is strong enough to power up most phones some eight times over. Thanks to its 13,400mAh internal battery, it’s everything you need to keep phones, tablets, and wearables juiced up for 2-3 days. With this much power you might expect for it to offer even more functionality. Indeed, it does. 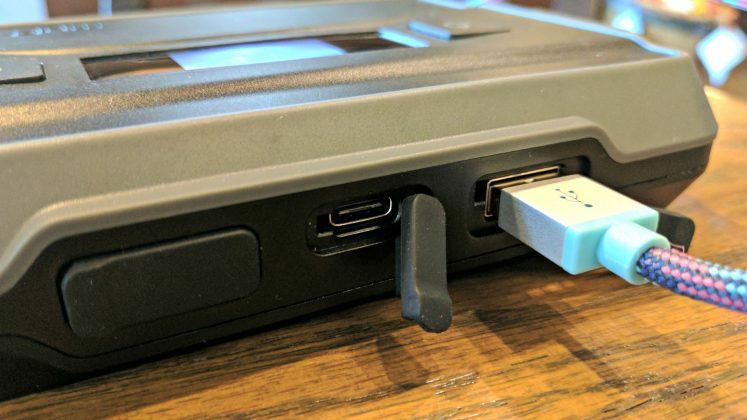 Not only do you have the requisite USB ports (two 2.4A), but you also get a USB C port (3.0A), and an AC port (45W), as well. Yes, this means you’ll be able to power up four devices at a time — even a laptop. Each of the charging ports is protected by a rubber boot to keep from getting dust and debris. This is convenient in cases where you might be at a beach, on a dusty job site, or spending time outside. Given the capacity of the battery, and our likelihood of charging multiple devices at once, we’ll want to know exactly how much gas is left in the tank. The AdventureUltra offers up a great display which shows what’s remaining in terms of charge. You’ll have no problem identifying whether you need to get the charger back to a wallet out or if you can stay out and about for a few more hours — or days. The number of use cases for the AdventureUltra is seemingly endless. Going tailgating and want to take a TV with you? 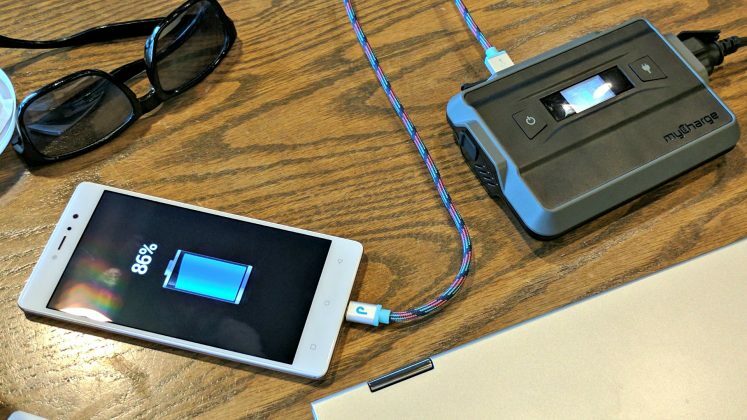 This charger is strong enough to power a 32-inch television for up to three hours. So, take that TV with you to beach, Cast to it from your phone, and make sure you’re up to speed with Game of Thrones! If you routinely spend multiple days on the road, pull marathon sessions of Pokemon Go, or go camping, hiking, then you’ll want to consider this charger. It’s built very well and ticks the marks for the things that matter. I loved that it features multiple ports for both the standard USB outlet but also the emerging USB Type C as well. 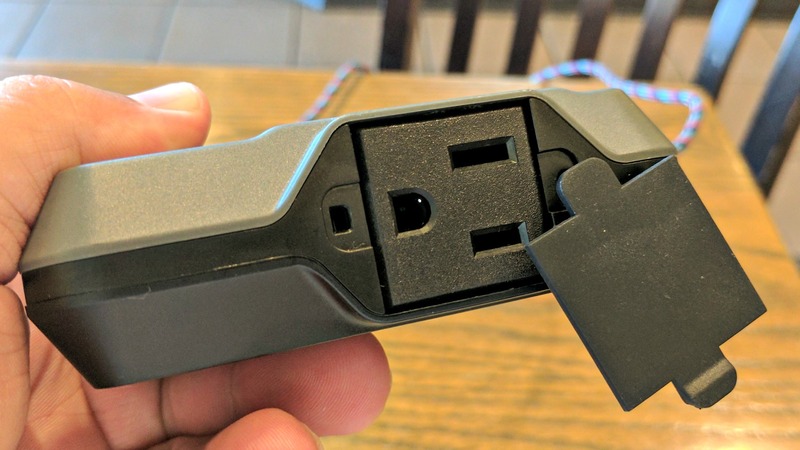 Plus, who hasn’t wanted a standard wall outlet plug for a laptop, drone, or something else while on the road? Price shakes out to around $130 for it, but it’s certainly worth it in my opinion. 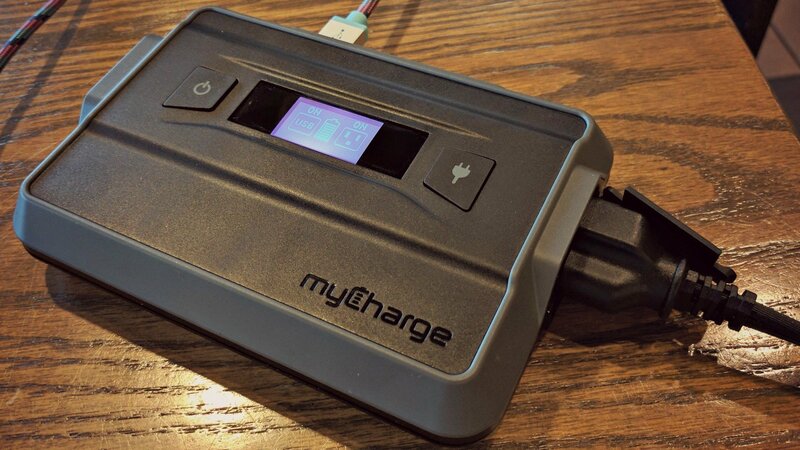 I’ve always had great luck with myCharge products and find them to be solidly built devices. It’s more expensive than what you might find in a larger capacity unit, but it’s the all-in-one functionality that puts it over the edge for me. Small but extremely functional, this should be one of the first electronics in your weekend getaway bag. Frequent travelers and campers will love having one of these close by; Pokemon Go players will keep on close at hand.